Office is the a WordPress theme for any corporate business. Featuring a very professional design, 7 custom post types, drag and drop homepage modules, unlimited highlight color option, optional navigation icons, 3 menu regions, an optional responsive layout?Office has everything you?ll want for your business website. Office is a responsive theme that has been tested and looks beautifully on mobile devices like the iPad and the iPhone. You can try resizing the demo to see the responsiveness take effect. All responsive css has been added to a separate css file and you can easily toggle the responsiveness on or off. Office comes with 7 custom post types: HP Slider, HP Highlights, Testimonials, Staff, Portfolio, Services and FAQ?s. The first 2 are for the homepage layout, while the other ones come with page templates that will allow you to showcase them beautifully on your site. 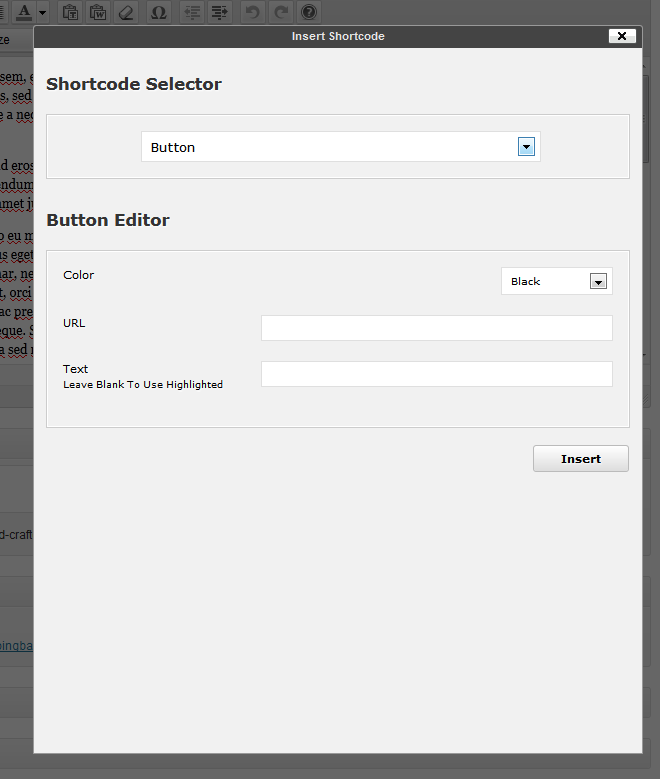 Setting up a site with shortcodes alone is a hassle, the built-in post types will really make it easy to add content to your site and make it awesome. Built-in options allow you to easily change the name of your post types and the slugs. So you can easily change the term “portfolio” to something else like products, gallery, or houses…Sample with the services, staff and faqs post types. Don’t be limited by the names! Easily create your pages for your portfolio, services, faqs..etc and select the specific category you want for this page. This means you can have unlimited services pages and portfolio with filters. Simply divide your custom posts into categories and select the category from a drop-down meta option while setting up your page. Awesome! Not a huge fan of the current header setup? Maybe you want to have the header touching the navigation bar or have some margin at the top of the page? Don’t worry I’ve included 4 bult-in header styles you can choose from via the theme admin panel. Check them out in the demo. With version 1.02 you can now take full control of your navigation bar and change the background colors, hover colors, text color, text hover color and current menu item colors for your main navigation bar. Yay! Besides being able to have an image slider on the homepage, you can also add them to other pages such as regular pages, full-width pages, services page, staff page, faqs page…etc. In the demo I only show you a couple samples but you can have them on any of your page templates or regular pages And the way they work is with the built-in media uploader so you just have to add your image attachments, enable the slider and that’s it. Office comes with some powerful theme options for setting up your site (using SMOF), such as the drag-and-drop homepage modules, color picker for the main highlight color, logo uploads, background options, header styles, enabling/disabling options for various elements and much more! See the admin options by clicking the screenshots link above! Simply drop images you want into the images/bg folder to add your own backgrounds to the backgrounds option in the theme panel. Important: Stock images from the demo are not included with your purchase, these images are licensed for our demo from PhotoDune.net. Don’t forget to check out our most popular Multipurpose WordPress Theme which includes everything you need to create an awesome website no matter the niche – business, corporate, portfolio, photography, blog…etc. Easily create custom pages via live drag and drop!